Jeanette Windle is a former missionary kid, journalist, and a multi-published author of political suspense. 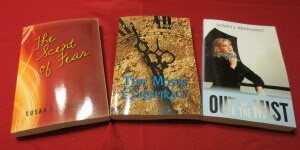 Her experience, extensive research, and sharp writing put her right up there with the leading novelists of our day. A cynical Special Ops turned Security guy, a naive Christian aide worker, and an embittered young man are brought together in Kabul, Afghanistan. Jeanette explores the issues of culture, religion, and politics with a sensitive, but realistic, touch. Even though the story is fictional, her writing enabled me to see and understand each character's behavior and motivation. The book portrays the city as teetering on a sharp edge between peace and violence. Small, incremental events, as well as sudden crises, created a growing dread. How could this unbearable tension and conflict be resolved? The climax had me glued to my chair until I ran out of pages. 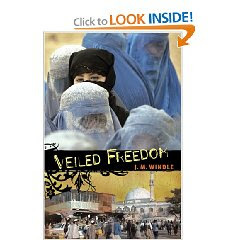 Veiled Freedom is a must-read book for suspense lovers, as well as those interested in world affairs. I'd read another Jeanette Windle book in a heartbeat. That sounds like a very intriguing story. I'll add it to my 'want to read' list. Thanks. I haven't read her books but I've wanted to. She sounds like she comes up with incredible plots, plus she's so knowledgeable. Sounds interesting, I'll have to check it out. Thanks, Susan! oooh, I love the way you say "The climax had me glued to my chair until I ran out of pages." Makes me want to read it today, Susan! Plus, I love this author's name. Jeanette's writing and storytelling ability is superb. I know you'd enjoy the book. I especially liked how she got into the characters' hearts. Both her dialogue and internal monologue were compelling. Books usually fall into two categories: character driven or plot driven. I think Jeanette gave us the best of both worlds. Not sure I crave fame, just enough money to keep me in coffee, cats, and a house cleaning lady. LOL! Whatever your heart desires, I hope you get it. May you never have to mop a floor again. I can't believe I've never heard of this book before. It sound right up my alley! Thanks for posting about this--I'm going to order it right away! You might want to look up Jeanette's other titles as well.